L-188AF Hawaiian Air Cargo N346HA circa 1978. CN#1043 was originally built for Eastern Airlines as N5527. It served SAM Colombia as HK-6911. 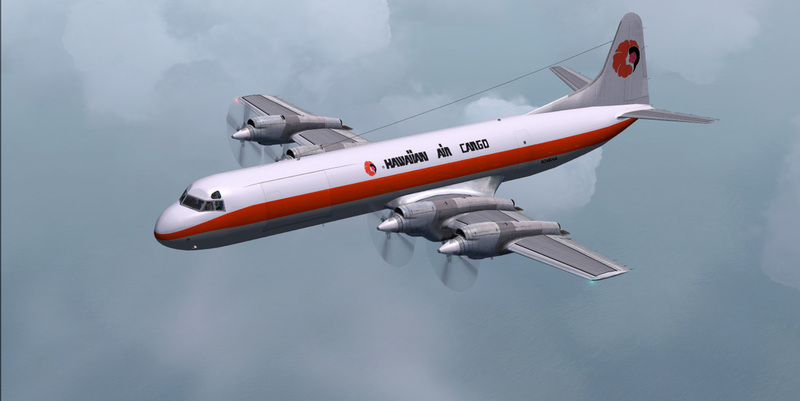 Aircraft was bought by American Jet and converted to a freighter for Hawaiian Air Cargo. KBT model.